Take a culinary tour of Chicago's diverse (and delicious) ethnic neighborhoods with this itinerary. If it&apos;s culture that you crave, Chicago&apos;s neighborhoods will surely satisfy. At the heart of the city&apos;s exciting dining scene are ethnic enclaves that boast restaurants of every background. Discover Chicago&apos;s diversity through a culinary tour of your own. A primarily Jewish neighborhood for many years, in West Ridge the ethnic boundaries have blurred to the point that it is sometimes referred to as International Marketplace. At the heart of this multi-cultural melting pot is Devon Avenue, a street that intrigues all the senses. Just at the bakeries alone, you can catch whiffs of the charred bread from Lebanese-owned Taza Bakery (3100 W. Devon Avenue), oven-fresh puff pastries from Argo Georgian Bakery (2812 W. Devon Avenue), sugary Desi confections from Indian-owned Tahoora Sweets & Bakery (2345 W. Devon Avenue) and fresh, fragrant loaves from Tel-Aviv Kosher Bakery (2944 W. Devon Ave). On Devon Avenue (in the West Ridge corridor that is Chicago&apos;s Little India), colorful saris and bangles may catch your eyes from the windows, but it&apos;s the food that is the biggest draw here. Dive into the different dishes — north and south regional cuisine or Indo-Pakistani, vegetarian or not, pungent heat or delicate and mild — from neighborhood staples like Hema&apos;s Kitchen (2439 W. Devon Avenue), Khan BBQ (2401 W. Devon Avenue), Sabri Nihari Restaurant (2502 W. Devon Avenue), Ghareeb Nawaz (2032 W. Devon Avenue) or Uru-Swati (2629 W. Devon Avenue). Continue your globe-trotting with a chai or refreshing fruit lassi then browse the specialty meat markets and grocers that cater to the diverse communities. Steeped in history, the Uptown neighborhood is in the midst of a renaissance with a thriving music, theater and nightlife scene adding to the ethnic dining gems along Broadway and Argyle Streets. If you crave the delicious crackly crunch of a banh mi sandwich, head to where the baguette is always fresh at Ba Le (5016 N. Broadway St.). 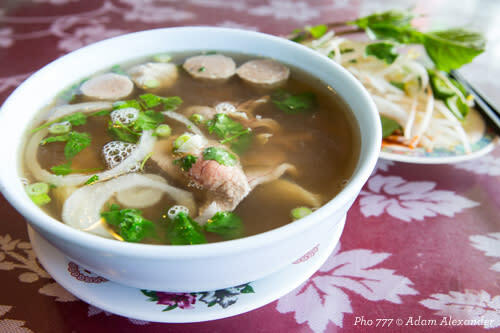 Tank Noodles (4953 N. Broadway St.) has an assortment on their menu too, but it may be hard to pass on their pho — the steaming bowls of rich broth and its traditional accoutrements are some of the best on Argyle. Other contenders? Pho 777 (1065 W. Argyle St.), Cafe Hoang (1010 W. Argyle St.) and Hai Yen Vietnamese Cuisine (1055 W. Argyle St.). For a massive menu selection of even more Vietnamese specialties, try out newcomer Nha Hang Viet Nam (1032 W. Argyle St.). Other international food finds off the Argyle Red Line ‘L&apos; are not hard to come by: Beijing duck from family-run Sun Wah BBQ (5039 N. Broadway St.) — where rows of roasted meats in the window allude to the feast awaiting inside — and artisanal treats from La Patisserie P (1052 W. Argyle St.), baked buns from Chiu Quon Bakery (1052 W. Argyle St.) and dim sum at Furama (4936 N. Broadway St.). Block by block you&apos;ll find the tour de Asia continues throughout Uptown, with standout sushi spots, Thai noodle houses and ethnic grocers dotting the landscape alongside brunch cafes and restaurants representing Lebanon, India, Mexico and more. African cuisine in particular has formed a niche in the Far North Side neighborhoods, with long-standing heavyweights including Ethiopian Diamond (6120 N. Broadway St.) in Rogers Park, Demera Ethiopian Restaurant (4801 N. Broadway St.) in Uptown, and Ras Dashen Ethiopian Restaurant (5846 N. Broadway St.) in Edgewater. Chicago&apos;s sizeable Polish population, reputed to be the largest anywhere outside of Warsaw, took root in pockets throughout the Northwest Side. Sample the Old World comfort foods of Staropolska (3030 N. Milwaukee Avenue) in Avondale, where storefronts bedecked in the red and white flag offer everything from kielbasa and blintzes to Polish music and books. 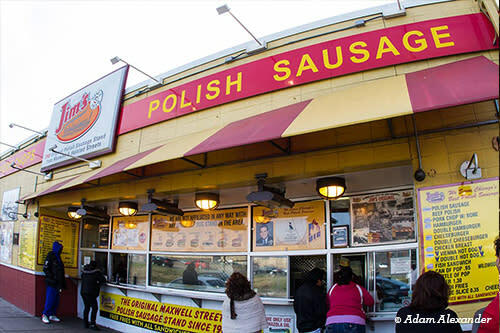 Or travel to Smak-Tak (5961 N. Elston Avenue) in Jefferson Park or Podhalanka (1549 W. Division St.), located at the intersection where Division Street meets Ashland and Milwaukee Avenues known as "Polish Triangle." It&apos;s not easy to pinpoint singular cuisines in some neighborhoods however. For example — settled by Swedes, the quaint stretch of Clark Street in Andersonville still flies the bright blue and yellow flag high, while the smorgasboard of restaurants serve not only Swedish meatballs and pancakes with lingonberries, but also mussels with pommes frites, Turkish kebabs, udon noodles and Venetian small plates aka cicchetti. The variety of inexpensive ethnic eats in Rogers Park, which along Lake Michigan takes up Chicago&apos;s most northeast corner, ranges from the more obscure (think savory stuffed pastries from Montenegro and battered conch fritters from Belize) to a colorful myriad of other cuisines including Peruvian, Korean or Jamaican. Or take the Albany Park neighborhood — its commercial district along Lawrence and Kedzie Avenues is a mosaic of different flags and multi-lingual signage. From authentic Persian and grill-it-yourself Korean, to fast food Filipino and homestyle Mexican via Michoacan — this is a worldly glimpse into Chicago&apos;s immigrant culture. If you have a taste for pasta made the old-school way, Little Italy has you covered. And look no further if you&apos;re on the hunt for a sandwich to write home about, or the perfect spot for cappuccino or gelato. A living legacy to a rich immigrant past, this community proudly claims a number of restaurants that have spanned generations such as Pompeii (1531 W. Taylor St.), established in 1909 as a simple bakery and pizzeria, and Tufano&apos;s Vernon Park Tap (1073 W. Vernon Park Place), which has been feeding local families since 1930. Other Chicago favorites include the classic Italian Beef sandwich from beloved chain Al&apos;s Beef (1079 W. Taylor St.), the sweet shaved ice treats from Mario&apos;s Italian Ice (1068 W. Taylor St.) and the Maxwell Street Polish at Jim&apos;s Original (1250 S. Union Ave.) in University Village. Hellenic culture and cuisine collide with tasty results in the Near West neighborhood of Greektown. Under the shadows of Loop skyscrapers, flaming saganaki is lit up in restaurants all along Halsted Street between Van Buren and Madison Streets. Get breakfast at Meli&apos;s Café & Juice Bar (301 S. Halsted St.), named for the Greek word "honey" which has a special place on the menu. Grab signature desserts from Pan Hellenic Pastry Shop (322 S. Halsted St.) or the counter at Artopolis Bakery, Café & Agora (306 S. Halsted St.). And enjoy hospitable service and a traditional spread at stalwarts Santorini (800 W. Adams St.) or Greek Islands (200 S. Halsted St.). During the warm weather months, alfresco dining evokes the Mediterranean islands with the hottest tables being those on the breezy rooftop veranda at Pegasus Restaurant & Taverna (130 S. Halsted St.) and the spacious patio at Athena Greek Restaurant (212 S. Halsted St.). Further west, the heart of the Puerto Rican community beats strong in Humboldt Park. Marked on both ends by massive steel flag sculptures that arch over Division Avenue, "Paseo Boricua" is a mile-long stretch that preserves its cultural identity with pride through its murals, its community spaces and most importantly to the epicurean, through its food. On the menu, there&apos;s no shortage of pork or plantains, though it is grilled skirt steak that makes up the jibarito sandwich made famous here. 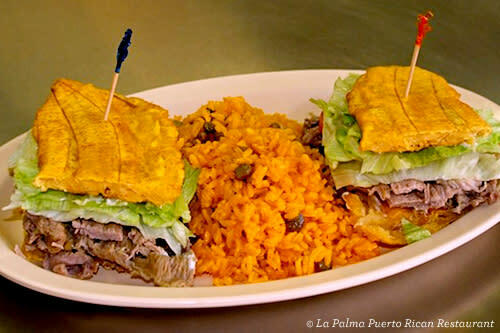 Get the original at nearby El Nuevo Borinquen (1720 N. California Ave.) and more authentic island eats at local favorites that range from the sleek nightspot Coco (2743 W. Division St.) to hidden gem La Palma (1340 N. Homan Ave.) to humble storefronts La Plena Restaurant (2617 W. Division St.), Café Colao (2638 W. Division St.) and Papa&apos;s Cache Sabroso (2517 W. Division St.). 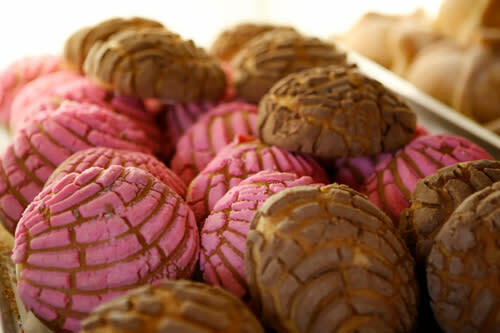 Panaderias and taquerias are plentiful for the picking in Pilsen. The cultural and commercial epicenter of Chicago&apos;s Mexican-American community dishes out home cooked cuisine all along 18th Street. Go for creative plates and an artful setting at DeCOLORES galeria y sabores (1626 S. Halsted St.). Travel off the beaten path to May Street Café (1146 W. Cermak Rd.) for pan-Latin cuisine. Or travel on a quest for the perfect taco — Don Pedro Carnitas (1113 W. 18th St.), Taqueria El Milagro (1923 S. Blue Island Ave.), Taqueria Los Comales 3 (1544 W. 18th St.) and Birriería Reyes de Ocotlan (1322 W. 18th St.) are excellent spots to start. Rounding out the selection are coffee and dessert cafes — tres leches cake is highly recommended — grocery stores, ice cream and candy shops, churro factories plus food carts galore. 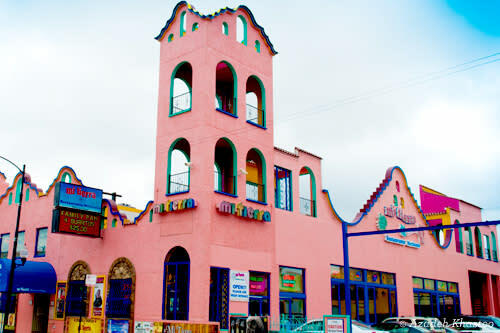 Come up to the terra cotta archway at 26th Street and you&apos;ll find more culinary treasures beckon to be discovered in La Villita. The friendly greeting on the sign "Bienvenidos a Little Village" hints at the neighborhood&apos;s immigrant ties and has been a port of entry for many incoming Latinos — as well as visitors from all around. Between the food carts scattered along the streets and the bustling business district lined with storefront restaurants and grocers, there is no shortage of dining options. If the sweet smell of corn coming from the tortilla factory/restaurant El Milagro Tortilleria (3050 W. 26th St.) doesn&apos;t tempt you to stop, try also the ever-colorful Mi Tierra (2528 S. Kedzie Ave.) for their signature table-top grills, La Casa de Samuel (2834 W. Cermak Rd.) for the unique taco fillings or the original location of the local chain Taqueria Los Comales (3141 West 26th St.). Finish things off with something sweet from candy emporium Dulcelandia (3300 W. 26th St.) and you&apos;ve covered much of the "Mexico of the Midwest" just in the Little Village neighborhood. Chicago&apos;s century-old Chinatown is one of the largest and most vibrant ethnic communities in North America and food is undoubtedly the best way to experience it. Open any restaurant door along the crisscross of Cermak, Archer and Wentworth Avenue and you&apos;ll be treated to good fortunes. 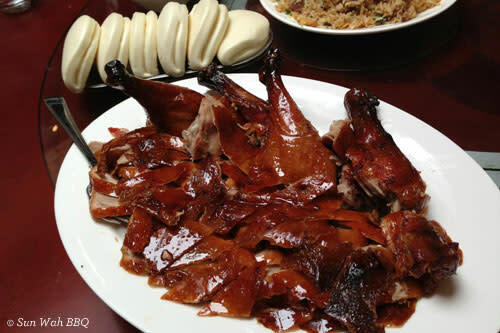 There are classics — take Chinatown&apos;s oldest Won Kow Restaurant (2237 S. Wentworth Ave.) and Phoenix (2131 S. Archer Ave.), a mainstay for dim sum since 1986, for example — and there are shiny newcomers as well-like the Michelin recommended Go 4 Food (212 W. 23rd St.) and the brightly colored Chi Cafe (2160-A S. Archer Ave.) and Sweet Station (2101 S. China Place). With so many selections, one route would be to pick a spot based on regional cuisine. For specialties from Canton China, the contemporary MingHin Cuisine (2168 S. Archer Ave.) is a standout, and stylish to boot. 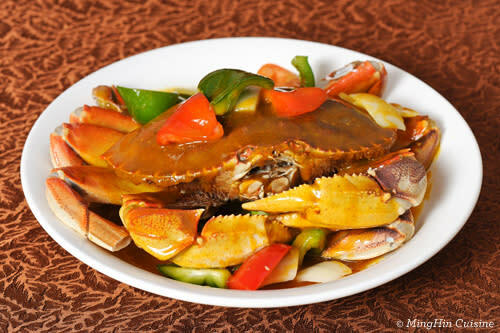 Discover the flavor combinations, ingredients and techniques of Northern China at Xi&apos;an Cuisine (225 W. Cermak Road) or Hong Kong at Evergreen Restaurant (2411 S. Wentworth Ave.). Though if it&apos;s just a treat that you want, the Hong Kong snack chain Aji Ichiban (2117-A S. China Pl.) has rows of gummies, fruit candies and Asian sweets overflowing from pick-and-mix bins and the pick-up window at Joy Yee Noodle Shop (2139 S. China Pl.) offers every flavor of bubble tea or smoothie you could imagine.